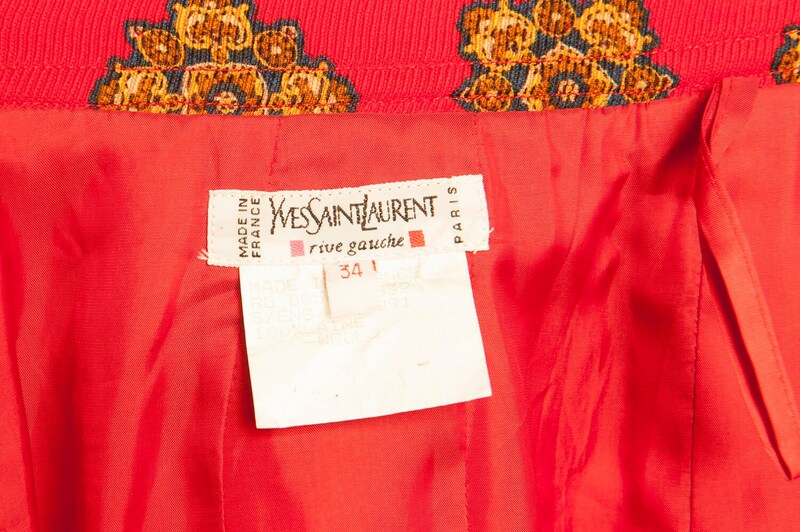 Pencil mini skirt by Yves Saint Laurent from 1990's. Putting in four tucks in front, slush pocket on each side, closure with a button and a zip on the back. Size XS.